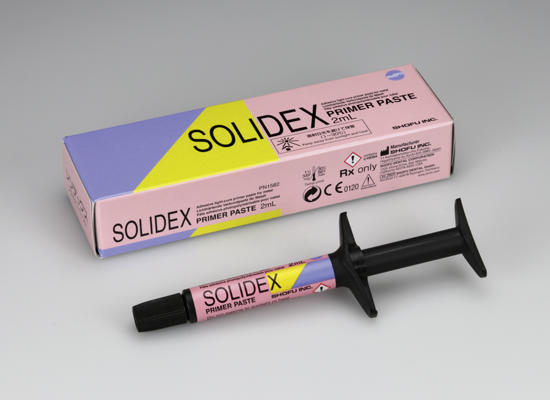 Solidex Primer Paste is a metal bonding system and a first opaque coat in one. The milky, dull paste has a lower viscosity than Solidex opaque pastes and also uses adhesive monomers to bond the opaque and metal. In this bonding technique, retention beads, e. g. Retention Beads (150 µm) from SHOFU, must be applied to the surface to be bonded.